If you've grown up going to church, or call yourself a Christian, you've probably heard every Bible story, and everything you're supposed to believe. But what do you really believe? Do you rely on a hand-me-down faith or a set of rules and directions in your head and not your heart? 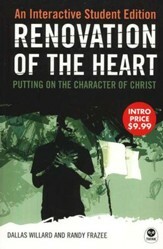 What does it mean to build a personal relationship with God? Here's an opportunity to ask these kinds of questions without feeling like the spotlight is trained on you. Making It Real will help your faith grow into a dynamic relationship with God as you get rid of "churchianity" and find out if your faith really is more than a habit. You'll discover who God is to you, if you trust Him when life is unfair, and whether you're ready to trust. Packed with real stories from real teens, practical biblical teaching, five days of devotions for each chapter, and space for journaling, Making It Real will help your articulate exactly what YOU believe and why. 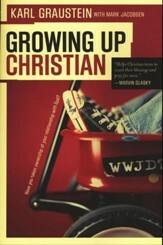 Is your faith built on your church, your youth pastor, or your family's belief systems? What happens if these relationships or institutions crumble? What does it mean to build a personal relationship with God? 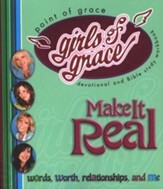 "Making It Real "helps teens ask these questions and grow their faith from tradition to a real relationship with God. 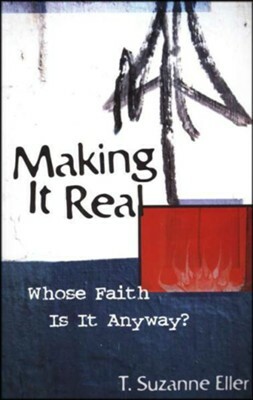 I'm the author/artist and I want to review Making It Real: Whose Faith Is It Anyway?.